Comprehensive rafting trips, from Grades 1-5, through the spectacular Rangitata Gorge. Family-owned firm, experienced operators, and lengthy, value-for-money trips. Starting out on flat water, you'll quickly discover the awesome stretch of Grade 5 rapids that'll have you catching your breath. 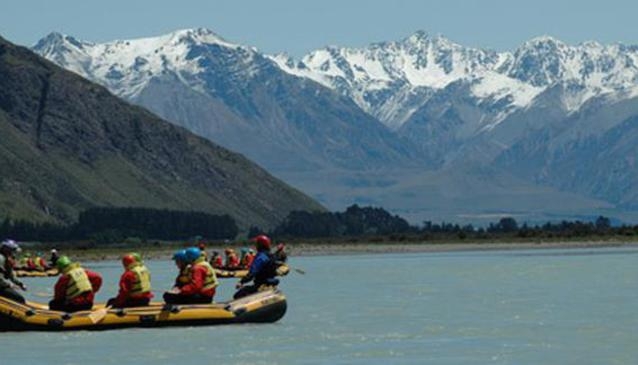 Alternatively, there are more sedate runs for beginners and leisurely rafters, but it's the white water experience that really has people flocking to Rangitata Rafts. Also on offer are Family Trips (Grades 1-2) and Corporate Days, which are ideal for team building. All you need is a swimsuit and towel, everything else is provided. Chill out after with a BBQ at the rafing lodge before making the easy trip back to Christchurch. Non-rafters are also welcome, if they want to come along to keep friends company. The scenery here is stunning, so they won't be bored!